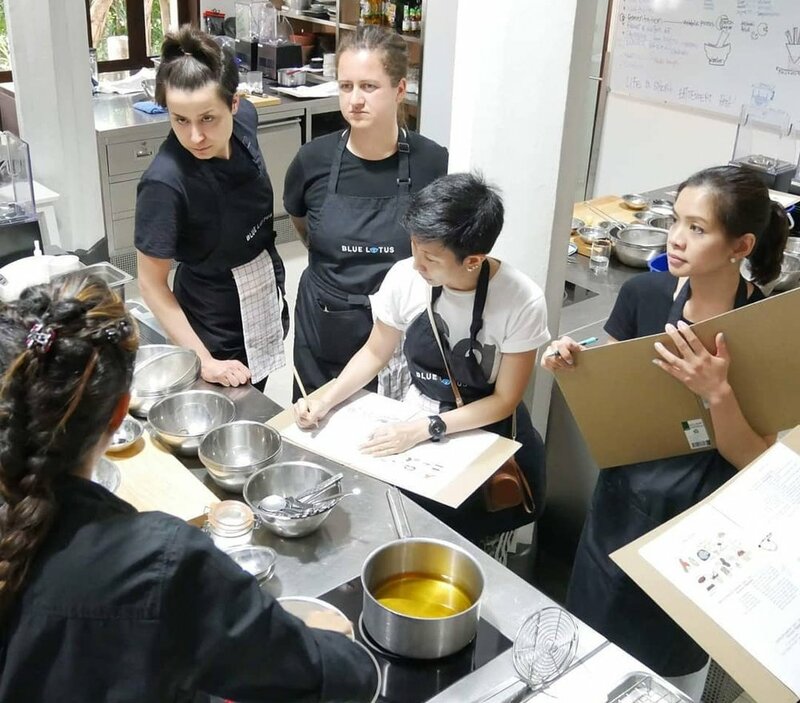 At Blue Lotus, we have created a vibrant, young and unique learning space for you to become a certified plant-based chef, right in the heart of South-East Asia. Our instructors are experienced chefs who will provide you with great knowledge and mentorship to take your learning experience to a new level. Our classes are taught in an intimate, state-of-the-art environment in which each student is given their own complete cooking and and raw foods preparation station. And in that station our students receive the full attention of our friendly, skillful instructors and mentors who encourage creativity and action-oriented learning. Students are completely free from the noise and distractions of the city, the serenity and shade of our sprawling seaside campus creates a calm environment which gives an amazing learning experience to the students. At Blue Lotus, our students enjoy a unique campus-based learning environment, with the opportunity to stay in Evason Hua Hin’s well-appointed and spacious studio suites. The resort is located in a remote, quiet area, surrounded by nature, which makes the learning experience unique: there is no stress from the hectic city and everyday life, but time for reflection and focus on yourself and what you want to learn. Signing up for a class at Blue Lotus is not only a learning experience, but a time-out from your normal routines. At Blue Lotus, our classrooms provide every student with a cooking station that is in essence an individual kitchen, with access to a professional-grade cooking range, dehydrator, food processor, juicer, sous vide, turning slicer and more – all the tools needed to create exquisitely presented and delectable modern plant-based cuisine, as well as meet the requirements of our organic and raw cuisine curriculum. Our classically-trained instructors provide comprehensive instruction in plant-based organic culinary techniques – refined recipes, knife skills, cooking equipment operation techniques. Artful plating and texture balancing are presented in a low-pressure environment where students are encouraged to reach their full creative potential. 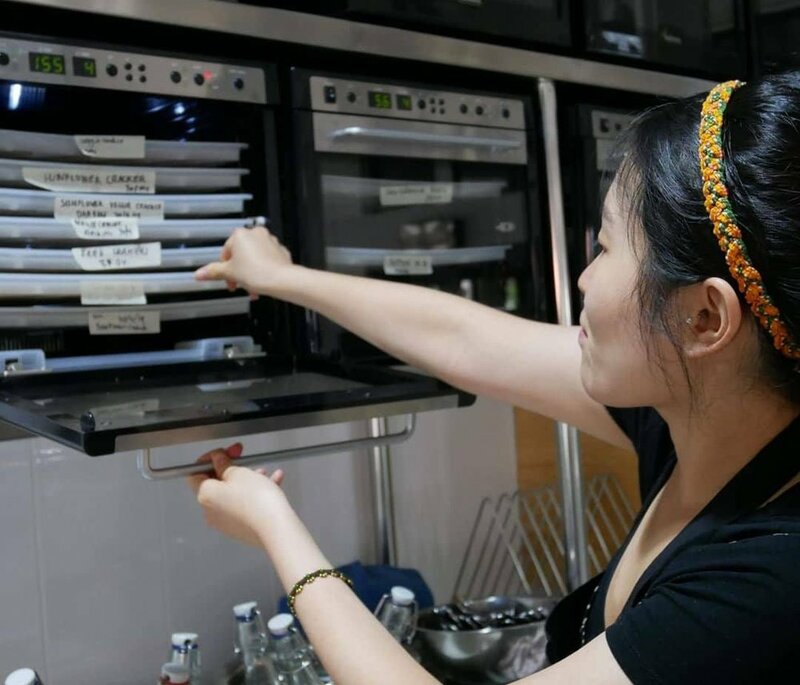 We encourage our students to be experimental and use their creativity in the kitchen so they have the possibility of finding their own unique style of cooking and be able to learn through misstakes and curiosity. At Blue Lotus we limit our cooking-focused classes to 10 students and our raw cuisine classes to 16 students. Each class is led by a classically-trained chef and a helpful instructor who gives hands-on instruction and encourages our students to learn through action and creativity. Our teaching approach is giving direct feedback to our students, which we believe gives the most efficient results.